The standard 4 C’s of credit are more relevant than ever. Today, advanced analytics, technology, and differentiated data assets are necessary to make profitable decisions. Credit, character, capacity, and collateral must be reviewed more carefully than ever to help automotive lenders develop highly efficient and robust borrower profiles. This will help lenders understand the customer profile, mitigate risk, and maximize already-stressed margins. While auto lenders have historically embraced the 4 C’s as a risk measurement tool through traditional credit scoring, PTI/DTI ratios to address capacity, and vehicle value to address collateral, the amount and specificity of data and its sources have grown exponentially. Reassessment of the 4 C’s approach is warranted to ensure each loan is underwritten efficiently and profitably. The following is a fresh outlook on the 4 C’s for auto lenders. Consumers don’t always behave as their credit scores might indicate. There are many instances where borrowers with good credit scores default on loans, but individuals with lower scores make payments to improve their credit profile. This means lenders have to look at more than just excellent credit ratings from borrowers. It may also be unwise to summarily weed out all customers with traditionally low credit ratings. Sophisticated data models are ushering in a new era of visibility. For instance, alternative data and trended data push beyond traditional credit data to reveal more details about consumers, their payment behaviors, and financial priorities. As a result, these models can help lenders offer more specialized, customer-specific approvals, while also helping to better protect their bottom line against bad debt, write-offs, and more. This refers to the financial citizenship and history of the borrower. Again, looking only at the credit score to determine whether a person is worthy of credit can yield mistakes. Lenders shouldn’t have to become forensic specialists, but should understand that psychographic models are more advanced than ever. Models that incorporate information such as salary versus hourly, overtime information, and job tenure and job-hopper data can yield more insightful results that can help identify the likelihood of nonpayment. For example, consumers with three or more jobs in a five-year period are twice as likely to go 60 days delinquent compared to those with only one job during that time. With the increase of synthetic fraud, it’s imperative that lenders also look at fraud flags and scores. With auto lender studies, loss rates can double or triple with the presence of a fraud flag at the time of application. In recent years, the infamous fake pay stub has made its way into the car-buying process and thrown many lenders off their A game. Some applicants utilize websites dedicated to helping consumers get their desired paycheck to drive the car they want. Most lenders verify income and employment of applicants at funding, but it may be a better practice to pull verified income and employment data at approval to clear stipulations. This helps to mitigate fraud and clear the stipulation before sending back the approval to the dealer. It also ensures the best offer is made to the consumer. In studies done with lender application data and The Work Number (a user-paid verification service) data, a third of the time income is overstated on the application by more than 10%, and another third of the time income is understated on the application by more than 10%. Either side of this coin can affect whether a lender makes the most profitable and efficient decision. Verification helps lenders validate a borrower’s ability to pay with employer-confirmed information: Is the employee working, and how much do they make? Just as performance for two consumers with like credit scores will vary, performance for two consumers with like collateral will vary. These variances are often caused by condition of the vehicle or the options actually installed on the vehicle. 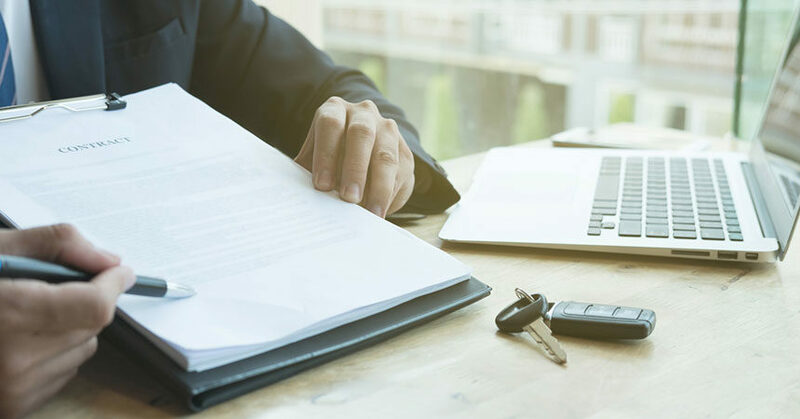 Using data sources that capture the condition and history of a vehicle can help ensure lenders extend the appropriate LTV on that specific car. As Black Book stated in a recent release, history-adjusted values are 31% more precise than traditional auction values. More competitive pricing as a result of more accurate risk assessment. Ability to further mine subprime risk bands—without sacrificing credit quality—by balancing traditional credit risk with affordability. A more competitive risk strategy helps increase profitability through positive selection and avoidance of negative selection, both at the consumer level and the dealer level. Comprehensive, accurate risk management that more precisely measures capacity, at the portfolio level, for all loans. Less manual intervention via automated assessment. To gain the maximum competitive advantage, lenders need to turn siloed volumes of data into actionable intelligence to fuel customer-specific strategies. This fresh approach offers hope for both lenders and consumers. Brett Collett is a strategic automotive consultant with Equifax, where he is responsible for consulting with lenders across the country to share best practices, find new ways to grow profitably, create efficiencies, and use data faster and better. He’s responsible for creating analytics around the auto finance industry and innovating new products. Prior to joining Equifax, Brett spent 10 years with Wells Fargo Auto Finance in multiple roles.